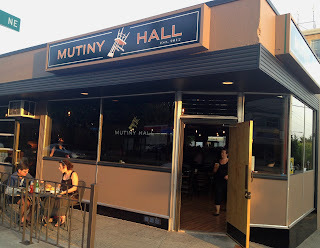 Update: Mutiny Hall closed May 17, 2014. 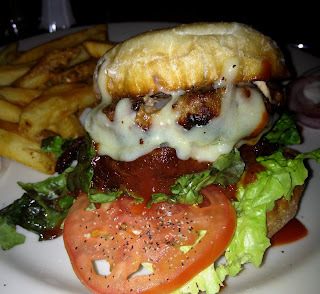 This is another craft beer public house from Seth Howard of downtown's Collins Pub and Lake City's Hudson Pub. This one is very much in the model of Hudson, with a good selection of beers, a woody but fairly plain design, and slightly upscale pub food. With all the places one can get great beers, the attractiveness of this place for me will depend upon the kind of crowd it attracts and vibe they create. During this visit it felt a little lifeless, but they were just getting started, so it remains to be seen if it manages to establish a sort of neighborhood vitality.